Ellis David Williams was born in Philadelphia on January 15, 1847, to John Williams and Elizabeth F. Ellis. 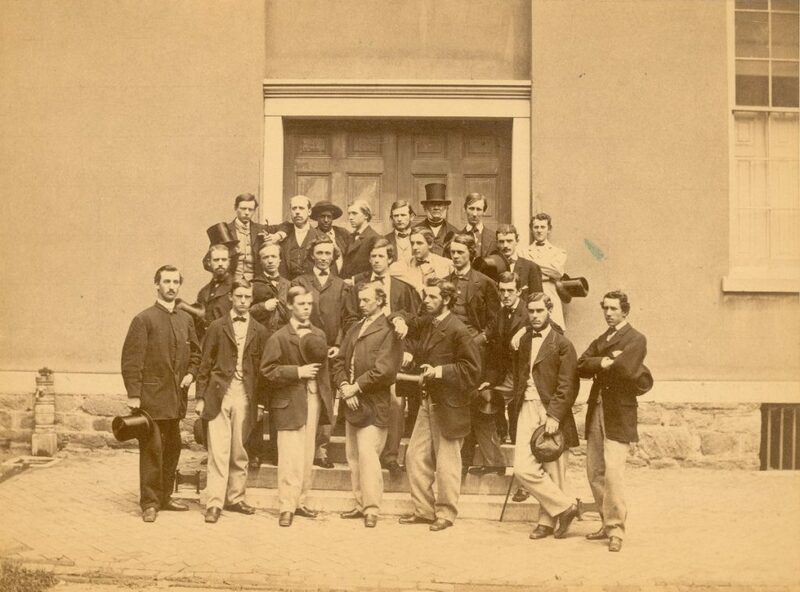 In the second term of 1861-1862 Williams entered the University as a freshman in the Class of 1865. During his college years, he joined the Zelosophic Society and the University Chess Club. As a member of his class’s Executive Committee in his senior year, he helped to plan Penn’s first Class Day. Williams earned his LL.B. degree from the University of Pennsylvania in 1868, the same year he was awarded his A.M. degree. As an attorney Williams was a pioneer in the specialty of title insurance law. He was a member of the law firm of Hannis, Williams & Bunting and also served as director of the Land Title and Trust Company and of numerous other corporations in Philadelphia and New York City. Ellis David Williams in 1870 married Fanny H. Stotesbury, the sister of Edward T. Stotesbury; they resided in Jenkintown. Williams died on August 1, 1928, on a visit to Kingston, New York. After his death, his estate gave the University $247,907 for a University endowment fund in his name.